All tooltips have been updated to match the new equipment tooltips! And not just items, anything that appears on a hover. After you have completed the tutorial, you will be able to choose whether you wish to become a Demon Avenger, or Demon Slayer. Demon Avenger uses a new weapon, called the Desperado, as well as the Force Shield that Demon Slayer also uses. However, Avenger does not have any Demon Force. Demon Avenger uses the new Exceed skill system! When using special Exceed skills, the more he uses them consecutively, the faster or stronger they get. However, you will heal less HP per attack and the HP consumed will be increased as well, so you’ll have to be careful. He also uses an HP based skill system. The damage that Demon Avenger does is dependent on his current HP, and will decrease as it decreases (until 70% HP, where any more lost HP will not decrease his damage). Demon Avenger’s main stat is HP and his secondary stat is STR. AP Resets used on him will give back the points used in HP. 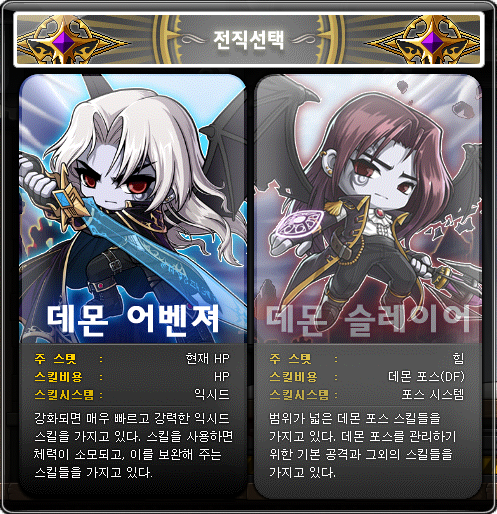 Demon Avenger’s character card gives 1%/2%/3%/5% boss damage. Demonic Blood: Demons are born with a strong will and overwhelming charisma. Gives you level 20 Will and Charisma. You have a 100% stance effect. Exceed: Exceed skills’ damage and attack speed will be increased the more you use them, but when you hit 20 times, you will enter Overload and the amount of HP you can absorb from Absorb Life will decrease by 1%. Using another Exceed skill will reset the Overload state. High Efficiency: Increases the efficiency of potions used by 300%. Blood Contract: A blood pact causes your damage to be based on your health. Demon’s authority allows him to wear warrior equipment while ignoring their stat requirements. Thanks to Fiel of Southperry for skill icons and effects! The Demon Avenger Open Celebration event has begun, and will run until February 1. At the levels above on a Demon Avenger, you’ll receive 1 2x Experience Coupon and 1 2x Drop Coupon. If you achieve level 200 on a Demon Avenger during this event, you’ll receive special titles! 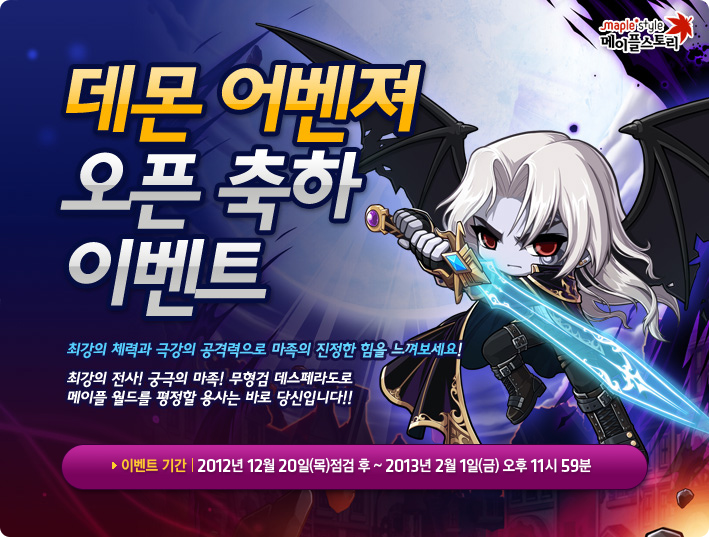 The first person in each world will receive the Plus Almighty Demon title which gives 7 attack and magic attack. The second to twentieth will receive the Almighty Demon title which gives 5 attack and magic attack. 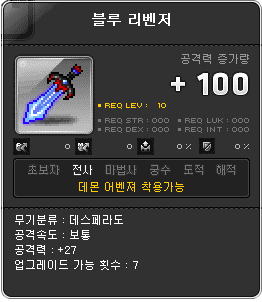 The rest will receive the Miracle Demon title which gives no stats. 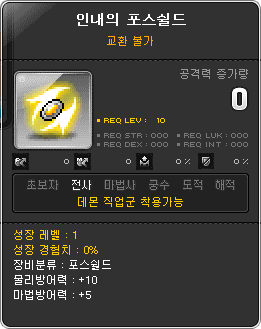 At level 50, you’ll get the Demon Avenger Ring. It gives 3 to all stats, 150 HP, 2 attack and magic attack, and 10 defense and magic defense. If you’re a third or fourth job Demon Avenger, you’ll get an extra 5 attack. 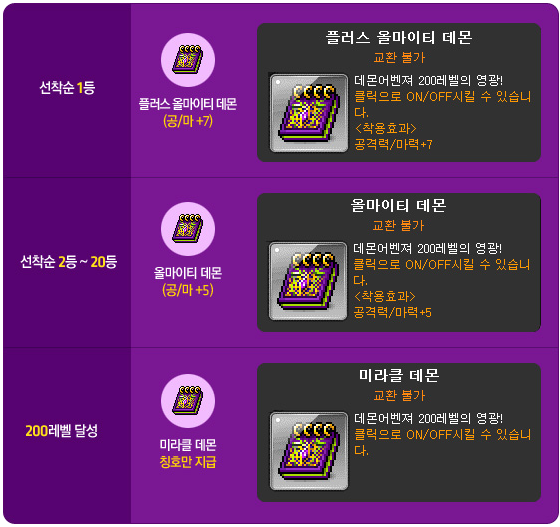 At level 70, you’ll get your choice of one Special Mastery Book. 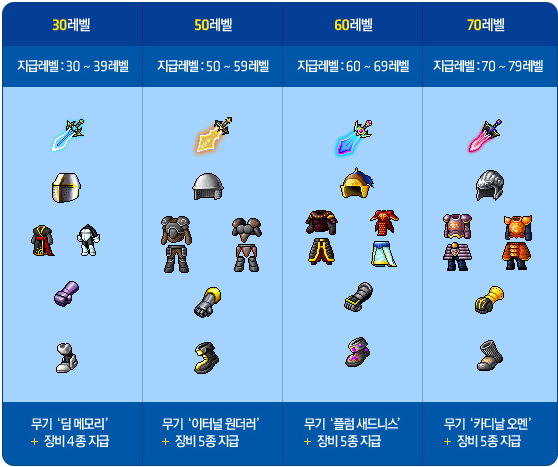 At level 30, 50, 60, and 70, you’ll receive item boxes that will give you all the equipment you’ll need. Finally, a new world, Ultimate, has been released! 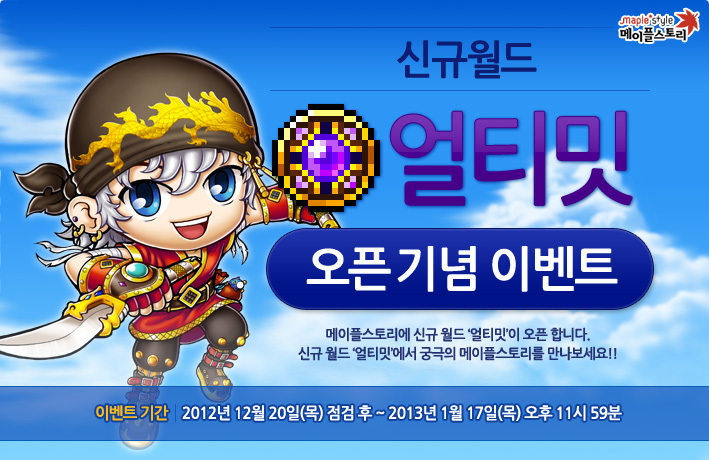 It comes with all the regular events, such as free mesos, and equipment when you reach certain levels. I guess this blog is still going. Oh yeah?? Well I bet you aren’t the real anonymoose!! What do you have to say to that?!??!????! And I bet you aren’t even the real me! First person to say 1st? Coolio. Thanks for the update notes Max! He quit so you can’t really say he is being lazy. We don’t need more worlds… Anyway, finally Demon Avenger has been released! Now, I’ll surely not get to level 200 during this event but, at least level 50!! I am interested in the people that they are interested in Xenon. When they say they are interested, i always think either damage or gameplay(including the skills that are appealing). Most people plays these days because the job is very strong. For example, Angelic Burster is gender locked but yet many males still plays it. Why? Is it because of the OP-ness or because the gameplay is fun. I am sure that 90% of the male are gonna say they play because it is OP. Even if they say they play for gameplay i am sure the truth is that they all because of the high damage. So, when you people say you are interested, what interests you? It is true that Xenon has a skill similar to DB and makes it look strong but to do high damage you need to fund it with good equips… But the problem right now is that Xenon doesn’t only have one primary stat but three primary stats. 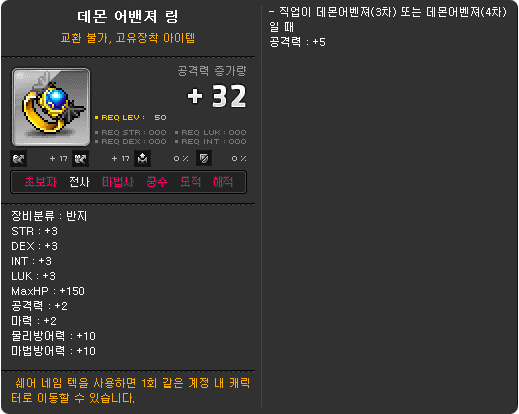 Nexon might have changed the system of stats for Xenon but it is still gonna be hard to get all those percents. PS: I don’t know the stat formula for Xenon right now but i was calculating some stuff yesterday. To get the best percents equips to even out the stats it is best to get the “certain% stats” for each part on different equips rather than “All Stats +%”. All stats are too hard to get so it is easier to get certain stats on different parts of the equips to get a good outcome. Actually I like xenon because he is a thief. Thieves ftw!!!!! Actually a lot of guys really enjoy playing female characters for the aesthetic reasons. It’s not a transsexual thing, but they just enjoy looking at themselves as females, or they dislike male characters in general. Well, that’s how 99% of the males I meet are like, at least. I wish we would have the new world Ultimate…looks so fresh. i dont think anyone asked for another demon slayer…. just like no one asked for mihail or jet. Is there no hot time for Demon Avenger? Reblogged this on Maple Express News!!!. Looks so sick. Shame im gonna have to wait an eternity to play it. EMS ftw!! 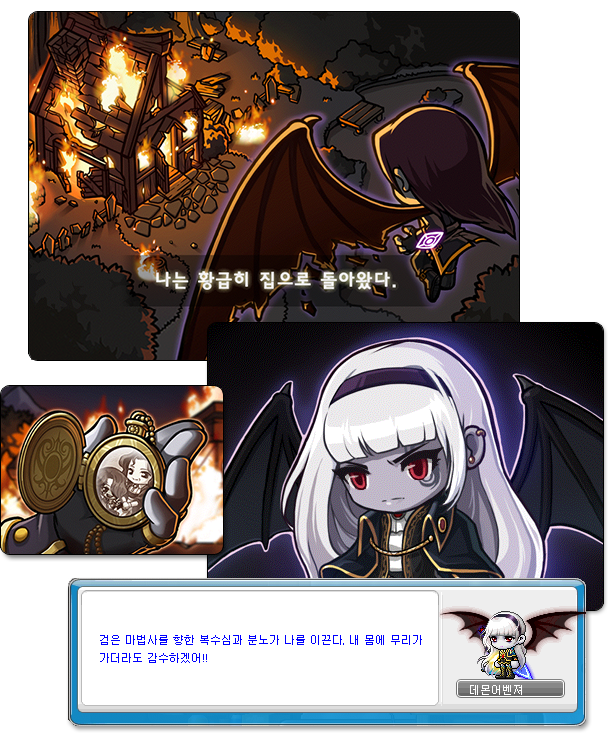 max when will u post the chnages made to xenon in kmst 1.2.461? i actually wonder if decent hyper body skill makes a difference for this character? It’s because DHB requires 80mp and DA doesn’t even have 1 mp to spare. Just like demon slayers Decent hyper body will cost hp instead of mp. is bloody imprison pretty much like bind? Does Demon Slayer also get an update to his skills? Or does he remain the same? Demon Slayer got a small reorganization a few patches back already, along with Cannon Shooter. Any special hat for this character? Yes, he had Hot Time horns, I forgot to add it into the post later, haha. This has the same link skill and character card as Kanna. Can’t wait till this hits GMS. I am the real me…. yep, but it doesn’t seem very appealing to me though…. ceiling fan as well. Many people have discovered that the living space they enjoy in their home should also include the outdoor areas. They can also offer a decorative element to the room. Sigh, we’re getting Unlimited backwards in GMS.